The hill town of Da Lat has long been the most popular location in the region for getaway holidays since French colonial times. Many people call it ‘Le Petit Paris’ and the town even features a mini-replica Eiffel Tower in its centre! 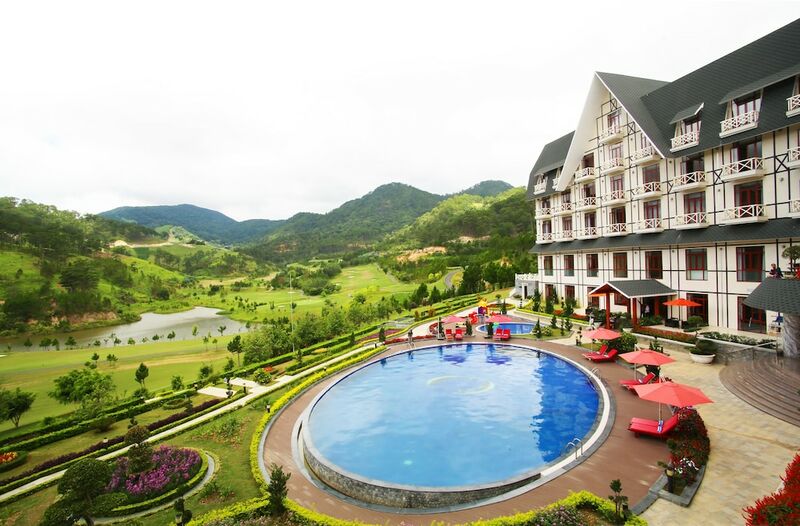 Situated on a plateau 1,500 metres above sea level, this retreat town offers a good change of atmosphere with a refreshingly cool climate while other cities in Vietnam can be very hot and humid especially during summer. Trousers and jumpers are needed if visiting Dalat from November to around March as temperatures hover at about 10°C. Da Lat is famous for its wide variety of flowers, vegetables and fruit from its surrounding farmlands as well as countless nature sites; its beautiful landscape, evergreen forests and minority villages. The area’s main sources of income are from agriculture and the tourism industry but the city is also very proud of being an education centre that produces multi-field professionals each year including doctors and architects (Dalat University alone has more than 13,000 students). Therefore there’s a good chance that visitors will meet with young, enthusiastic and friendly Vietnamese from every corner of the country here. First Time in Da Lat? Here is the Best of Everything! First Time in Da Lat: What to Do?